The scientists don’t mince their words. 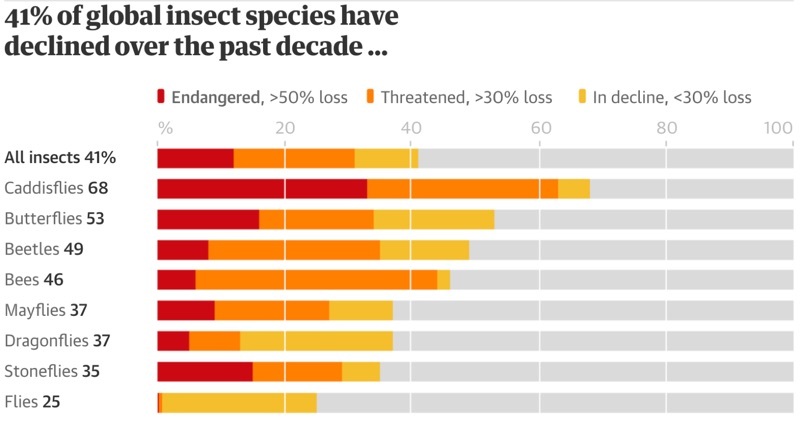 This dramatic decline... in insect numbers would be the “largest extinction event on Earth” for millions of years, as insects are a crucial food source for other wildlife and pollinate our plants. But we need to step up our efforts, and in more countries, if we’re to step this catastrophic decline in time. We already have plans to push the EU to revolutionise pesticide testing standards, and ban even more bee-killing pesticides, and to take the fight to save the bees to individual American states, to overcome Trump’s stagnant environmental policy.